"Where the only thing that beats our prices is Our Quality!" International Door Corp. is a garage door specialist for residential, commercial, agricultural and industrial applications, proudly serving the Lewiston/Auburn area. We would love for you to visit our showroom at 66 Westminster St. There, our team can give you personalized advice in purchasing a garage door, an installation that meets the highest industry standards, and unequalled after-sales service thanks to our maintenance and repair program. Our full range of products also includes electric garage door openers as well as many other accessories to go with your garage door. Think of us when it comes to buying, installing or repairing any type of garage door. We are a member of the International Door Association (IDA), Androscoggin County Chamber of Commerce and (DHI). We have more than twelve employees ready to give you the fastest service in the industry. Our showroom is located at 66 Westminster St, Lewiston and is open Monday to Friday from 8:00 AM to 4:30 PM and Saturday from 8:00 AM to 12 PM. I invite you to come and visit us, and on behalf of our entire team, I thank you for considering our company. Dews Door Company is a locally owned and operated family business with almost 30 years of garage door expertise and know how. Adam and Amber Dews would love the opportunity to provide you with an estimate, schedule a garage door or opener repair, or install that new garage door or opener you need. Dews Doors specializes in both residential and commercial garage door sales and services, as well as 24/7 emergency garage door service. Dews Door has proudly served Southern and Central Maine communities since 1989. Just like with residences, the right garage door can enhance both the look and efficiency of commercial buildings, industrial applications or customized special projects. Teamed with Garaga, we can assist you right from the start of your project. We can help analyze your needs and requirements anywhere from number of operational cycles and insulation demands to natural lighting and maximum headroom, just to name a few. Do you need shop drawings or technical specs? Which model of operator is recommended? What type of hardware is normally used for this type of door? What is the price estimate for this system? Will a maintenance program be needed? We have the experience you can depend on to guide you to the exact door to complete your project. Let us and Garaga’s engineers, who, by the way, have a dedicated hotline so you can ask them your questions yourself, become part of your team, so that you get the perfect door to meet your needs and that it is installed by us, experts in the field. Looking for a garage door specialist? 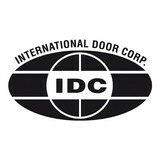 At International Door Corporation, we have been experts in the garage door business since 1966. Our well-trained staff is the ultimate resource for garage door sales, installation and repair. Because we work with superior quality products, we have chosen to carry Garaga as our main garage door line. Like us, this company is exceptionally detail-oriented. This means that with Garaga’s vast selection of models, colors and accessories, you’re sure to find the look to add a distinctive touch to your home. In either steel or aluminium, See over a hundred different models in our image gallery. You will be impressed! 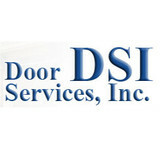 Dews Door Company is a family owned and operated business, we have been opening doors since 1989. We specialize in all things garage door related, both residential as well as commercial. When you want a product that lasts, choose overhead door products and services from Bob's Overhead Doors in Sabattus, Maine. We provide nearly every type of overhead door for residential and commercial customers, including car dealerships. In the past, we have worked for many commercial companies. Garage door openers are also available, with or without installation. At Bob's Overhead Doors, our professionals install and service all the products we sell, paying close attention to every detail to ensure that they function properly. Our products are quality constructed with standard replacement parts and covered by manufacturer's warranties. Our garage doors even help you cut power costs. 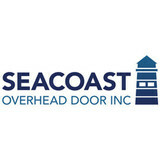 What kind of services do Yarmouth, ME garage door dealers and installers provide? Garage door professionals specialize in the selection and installation of residential garage doors and openers that fit your budget, style and needs. This includes choosing a garage door style — or designing a custom garage door — that blends in with your home’s exterior, selecting materials, determining a technological system that supports your security and access needs, determining proportions and dimensions, finalizing decorative designs and ensuring that everything meets Maine compliance and building codes. 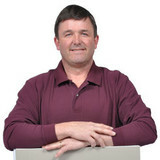 Find garage door sellers and installers in Yarmouth, ME on Houzz. Narrow your search for Yarmouth, ME garage door sellers and installers by selecting the nearest city or zip code. Look at portfolio and product photos, and read reviews to find the best Yarmouth, ME garage door professional for your home.